(Deadpool IV#1000 (fb) ) - At some point in the past the parasitic Corps du Chapeau left their homeworld and became a threat to the universe. (Deadpool IV#1000 (fb) - BTS) - At some point the Midgets of the Universe picked up knowledge on the Corps du Chapeau. 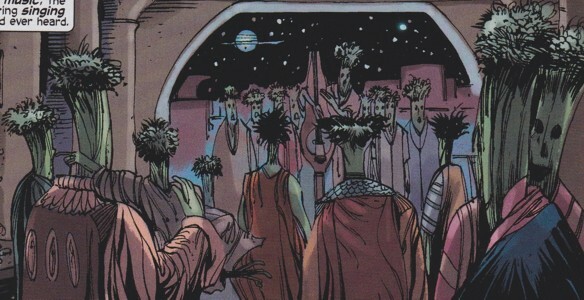 (Deadpool IV#1000 (fb) ) - The Ru-Bari were a very creative race living on a planet in the Cygnus system until the Corps du Chapeau landed on their world, took possession of them and forced them to annihilate the Ru-Bari civilization. (Deadpool IV#1000 (fb) ) - On the anniversary of the Avengers' death Deadpool accompanied by fellow Deadpool Corps members Lady Deadpool (Earth-3010), Headpool (Earth-2149), Kidpool (Earth-10330) and Dogpool (Earth-103173), gave a speech to Avengers fans, proclaiming that it was not his fault that the Avengers had died shortly after he joined them. After the speech Lady Deadpool suggested to a few geeks and nerds to obsess over sport instead of the Avengers, but they were not interested. Shortly after the Corps du Chapeau descended from the sky. Lady Deadpool ordered Headpool to get information on their new enemies from the Midgets of the Universe's database and a hologram of a Midget told them everything the Midgets knew of the Corpse du Chapeau. 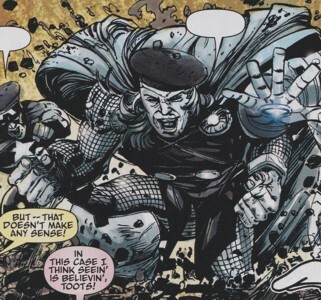 When the first few Corps du Chapeau members hit the ground they took control over the corpses of the fallen Avengers Captain America, Iron Man and Thor. Controlled by the Corps du Chapeau the former Avengers attacked their only opposition the Deadpool Corps. During the fight Deadpool decapitated Iron Man and the Chapeau controlling Iron Man took Deadpool as his new host, turning him into Mimepool. Shocked for a few seconds that their former ally had become their enemy the Deadpool Corps then took him on and defeated Deadpool. 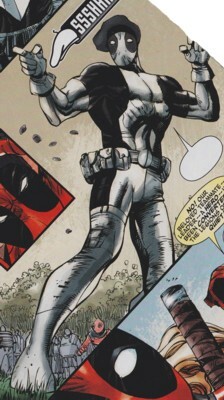 After the fight ended they strapped Mimepool to Earth's ultimate doomsday weapon, which the fired at the Corps du Chapeau's homeworld, destroying it in the process. (Deadpool IV#1000) - A year later Lady Deadpool, the rest of the Deadpool Corps and the people of Earth-20110 celebrated the death of Deadpool, the greatest Avenger of them all. Comments: Created by Fred Van Lente (writer) & Denys Cowan (artist). This reality possibly diverged from Earth-616 (Deadpool referenced 616 in-story) when Deadpool was allowed to join the Avengers. 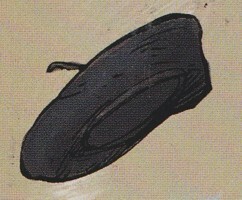 If this is correct the Ru-Bari, the Corps du Chapeau and the Midgets of the Universe possess counterparts on Earth-616. Reality-20110's Corps du Chapeau world is shown as main because it was shown and actually more important than Earth itself. BTW the main image shows the homeworld of the transformed Ru-Bari homeworld AFAIK. If it was the planet destroyed at the end of the story is unknown. Maybe the Corps du Chapeau travel from world to world, turning each world into their new homeworld until they leave for another world, leaving a ravaged world behind like good parasites should. Masters of the Universe, He-Man & Co.
(Deadpool IV#1000/4 (fb) ) - Luke Cage was a member of the Avengers. 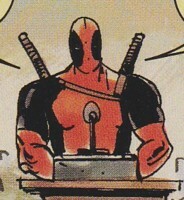 He welcomed Deadpool to the team and mentioned that it was about time that Deadpool joined them. (Deadpool IV#1000/4 (fb) - BTS) - All Avengers except for Deadpool died under unrevealed circumstances, including Luke Cage. (Deadpool IV#1000/4 (fb) ) - Captain America was a member of the Avengers. He was present when Luke Cage welcomed Deadpool to the team. (Deadpool IV#1000/4 (fb) - BTS) - All Avengers except for Deadpool died under unrevealed circumstances, including Captain America. (Deadpool IV#1000/4 (fb) ) - Cap's corpse was taken over by a member of the parasitic Corps du Chapeau. Controlled by the alien parasite Captain America silently attacked the Deadpool Corps. Deadpool shot the alien-controlled Captain America through the chest. 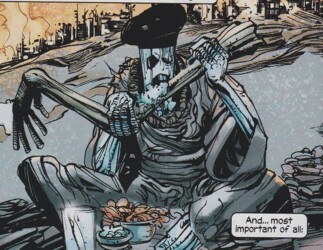 (Deadpool IV#1000/4 (fb) - BTS) - The Corps du Chapeau were a parasitic race traveling the universe and destroying whole civilization by turning the races they possessed into mad, cannibalistic mimes. They were a known threat to the intergalactic knowledge-seekers Midgets of the Universe. (Deadpool IV#1000/4 (fb) ) - The Corps du Chapeau landed descended upon the homeworld of the Ru-Bari and took them over, wholly destroying the Ru-Bari civilization. They left their planet to seek their next prey. Note: The parasitic Corps du Chapeau resemble a beret, the traditional headgear of mimes. The Hat Corps! Mon dieu! 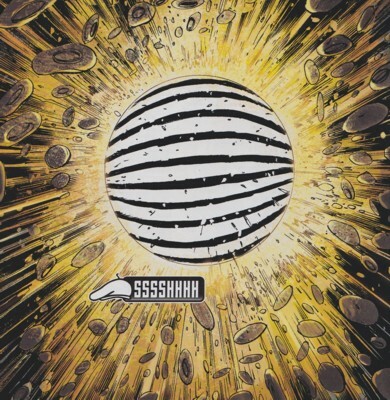 It seemed like the Corps du Chapeau not only transformed the dominant species on each world they attacked, but also changed the planet itself in such a way that it appeared like a black & white striped mime outfit. Probably by controlled destruction throughout the world (burning buildings, forests, etc.). 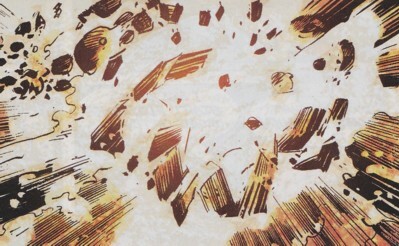 There also seemed to be a psychic connection between their homeworld and their species, which apparently resulted in their destruction when the Deadpool Corps destroyed their homeworld. (Deadpool IV#1000/4 (fb) ) - Deadpool joined the Avengers and was welcomed to the team by Luke Cage, Captain America and Wiccan. (Deadpool IV#1000/4 (fb) - BTS) - All Avengers except for Deadpool died under unrevealed circumstances. When the Deadpool Corps came to his reality Deadpool joined them. (Deadpool IV#1000/4 (fb) ) - On the anniversary of the Avengers' demise Deadpool held a speech, proclaiming that it was not his fault that all the other Avengers had died. Following his speech the Corps du Chapeau rained down on Earth and took control over the corpses of the fallen Avengers Captain America, Iron Man and Thor, who immediately attacked their only opposition, the Deadpool Corps. 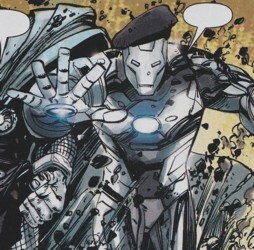 Deadpool fell under the Corps du Chapeau's control when he decapitated Iron Man and the Chapeau member controlling him swapped hosts, taking over Deadpool. Deadpool became Mimepool and was taken down by the other Deadpool Corps members, who strapped him to an ultimate doomsday weapon they fired with warp speed at the Corps du Chapeau's homeworld, destroying the planet, and seemingly ending the threat of the Corps du Chapeau forever. (Deadpool IV#1000/4 (fb) - BTS) - All Avengers except for Deadpool died under unrevealed circumstances, including Iron Man. (Deadpool IV#1000/4 (fb) ) - Iron Man's armored corpse was taken over by a member of the parasitic Corps du Chapeau. Controlled by the alien parasite Iron Man attacked Deadpool Corps member Lady Deadpool before Deadpool decapitated him. The Corps du Chapeau member left Iron Man's helmeted head and flew over to Deadpool, taking control over him and turning him into Mimepool. (Deadpool IV#1000/4 (fb) - BTS) - They were a race of knowledge-seekers...though the way they presented their collected knowledge was questionable. They somehow got involved with the Deadpool Corps, giving them acccess to their compiled database. (Deadpool IV#1000/4 (fb) ) - When the Corps du Chapeau descended upon Earth Lady Deadpool ordered Headpool to tap into the Midgets of the Universe's database to learn who the Corps du Chapeau were. 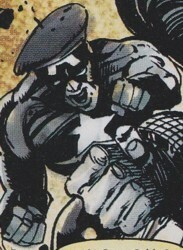 A holographic image of a member of the Midgets of the Universe appeared and told the Deadpool Corps everything they knew about the Corps du Chapeau: They were renegades preaching the only proper headgear for vengeance was hats and their most feared color was "beret", which represented the emotion of "quiet". Lady Deadpool commented that "quiet" wasn't an emotion and Deadpool thought to himself that "beret" wasn't a color either. 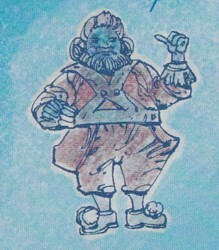 Note: It can't be coincidence that the hologram seen shows the Midget in an outfit with straps similar to the Eternian warrior He-Man's. Also, the Masters and the Midgets the same abbreviation. (Deadpool IV#1000/4 (fb) - BTS) - The Ru-Bari were an alien race from the Cygnus system. They were famous for expressing their feelings through music. They created some of the most soul stirring songs the universe had ever heard. An unidentified Nova Corps member dismissed their world as "Planet of the Celery People". (Deadpool IV#1000/4 (fb) ) - The Ru-Bari fell victim to the mind-controlling, beret-like, parasitic Corps du Chapeau. Controlled by the Corps du Chapeau the Ru-Bari devolved into mad, cannibalistic mimes, who consumed each other with bleau cheese dressing and Buffalo wings. Under the Corps du Chapeau's control the Ru-Bari destroyed their civilization. The Corps du Chapeau left their planet searching for their next prey. (Deadpool IV#1000/4 (fb) - BTS) - All Avengers except for Deadpool died under unrevealed circumstances, including Thor. (Deadpool IV#1000/4 (fb) ) - Thor's corpse was taken over by a member of the parasitic Corps du Chapeau. Controlled by the alien parasite Thor attacked Kidpool and Dogpool, members of the Deadpool Corps. (Deadpool IV#1000/4 (fb) ) - Wiccan was a member of the Avengers. When Deadpool joined the Avengers he was sure nothing could possibly could go wrong. (Deadpool IV#1000/4 (fb) - BTS) - All Avengers except for Deadpool died under unrevealed circumstances, including Wiccan.